Reigning world champion Ogier was a class apart compared to title rivals Neuville and Ott Tanak, winning three of the full-length gravel stages on his way to establishing a 14.8s lead despite his early road order position. Despite picking up a puncture on the Las Minas stage, Ogier was relatively unaffected, dropping only 4.2s to his closest rival Elfyn Evans. Neuville had also suffered a puncture on the very first stage this morning, the first pass of El Chocolate. He was less fortunate than Ogier, losing over 40 seconds and dropping to the rear of the WRC field for the rest of the day. His Hyundai teammates had initially fared much better, with Andreas Mikkelsen leading at midday service. But come the re-run of El Chocolate, he was forced to pull over and retire with as yet unspecific damage to his i20. 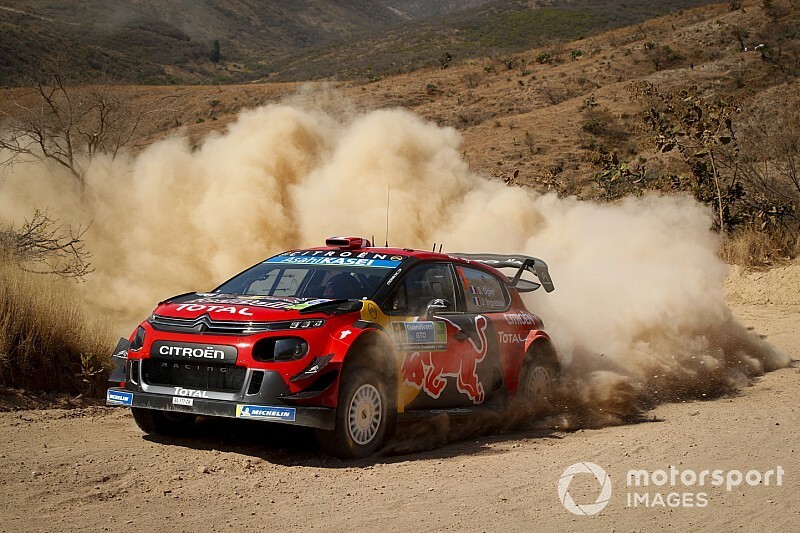 Dani Sordo, making his first WRC appearance this year in place of Sebastien Loeb, then became Ogier’s closest rival, less than five seconds behind after the re-run of Ortega. 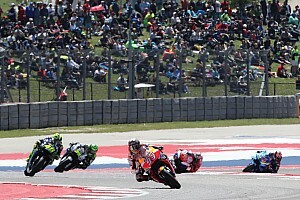 His challenge came to an end immediately afterwards, a battery issue stranding him on the road section between Ortega and Las Minas and forcing his retirement. Hyundai’s woes handed M-Sport’s Elfyn Evans second place and promoted lead Toyota driver Kris Meeke to third, the duo separated by 6.3s. A strong time from Evans on the afternoon pass of El Chocolate, along with dust slowly filling the cabin of Meeke’s Yaris on both Ortega and Las Minas, caused their gap to expand as the afternoon progressed. Jari-Matti Latvala looked set to end the day fourth but retired at the time control for the Autodromo de Leon superspecial, his Yaris running out of steam with a suspected alternator failure. Latvala appeared to have been nursing the problem all afternoon, having arrived at several stage ends revving the engine of his Yaris. His Toyota teammate Tanak was the main beneficiary, moving up to fourth place on the Autodromo di Leon superspecial despite struggling all day with road sweeping as first driver on the road. 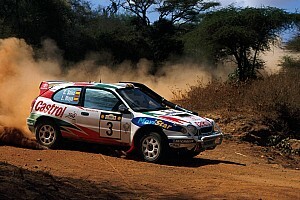 He demoted Esapekka Lappi to fifth, having caught up with him suddenly when the Citroen driver lost time on Ortega by clipping a tree and pitching his C3 into a spin. A despondent Neuville suggested he has nothing to fight for after the Las Minas stage, yet finished the day sixth, 21.6s behind Lappi. Though he is the lowest placed WRC car still running, Neuville should get a reasonable running order position on Saturday because of the number of cars likely to return under Rally2 and therefore go onto the stages ahead of the rally frontrunners. Teemu Suninen, who retired early on the morning pass of El Chocolate, will not join the Rally2 returnees - having clipped a rockface that destroyed his Ford Fiesta. 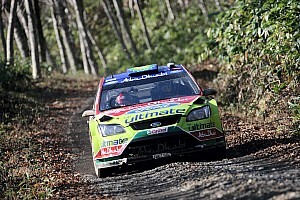 The high rate of attrition has promoted Bolivian teenager Marco Bulacia Wilkinson to seventh place overall in a Skoda Fabia R5. 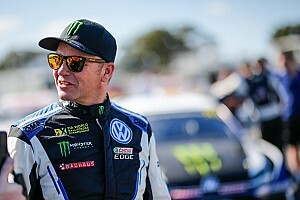 Wilkinson also leads the WRC2 support category, trading places with 2019 Race of Champions winner Benito Guerra in the morning loop before establishing a 9.8s advantage by day's end.